When it comes to video games, it's easy to get caught up in franchise mania. Certainly at this year's Electronic Entertainment Expo, games with numbers in their title seemed to hog most of the spotlight. Crysis 2, Gears of War 3, LittleBigPlanet 2, Killzone 3 — we're lookin' at you. It's easy to go with the games we know. It's certainly the safe choice. But it can be far more rewarding and surprising to dive into completely new games – games that are delivering brand new stories and trying out brand new gameplay ideas. At E3 this year, there were plenty of excellent original games to be found. Here's a look at some of our favorites. We can't wait to see what Jenova Chen has in store for us next. Chen is the designer/artist behind indie downloadable PS3 games " Flower" and " flOw" — games that earned raves thanks to their unique take on gameplay and art. 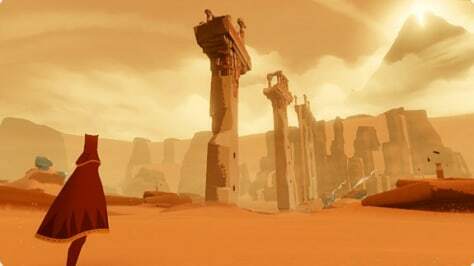 At E3 earlier this month, Chen revealed that a game called "Journey" is his next project – and one that looks to be another unusual take on gaming. Chen says "Journey" begins with a character waking up in a desert, with no clues as to what might have happened before or what will happen later. There’s only a tall mountain in the distance, beckoning the player to set out and explore. In his company's blog, Chen says he hopes to evoke "a sense of awe and mystery" with the game. Beyond that, we understand that there will be an online aspect to the game but we don't know much more. Looks like we'll have to wait until 2011 to see exactly what this sand-swept "Journey" is all about. The more footage we seefrom this eerie indie game, the more we can't wait to play the whole thing. Created by Playdead Studios, a small development outfit based in Copenhagen, "Limbo" is a 2-D platforming/puzzle game set in the murky, creepy netherworld. 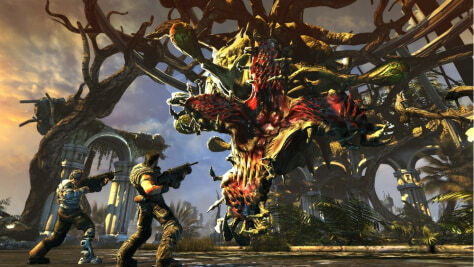 It won both the Excellence in Visual Art and the Technical Excellence award at this year's Independent Games Festival. 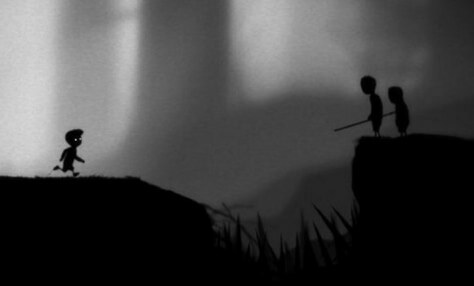 "Limbo" will be available to download from Xbox Live this summer. "Lost in Shadow" is another puzzle-platformer with a unique game mechanic that we can't wait to try. 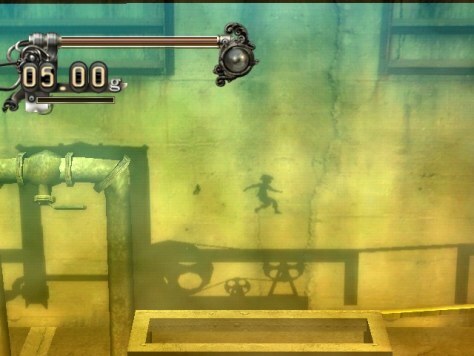 In this game, players use light, shadow, foreground and background to manipulate the landscape and help a shadow boy as he attempts to climb through a mystical tower and reclaim the scattered parts of his soul. The graphics look amazing and the puzzle solving looks wonderfully unique. The game will be available for the Wii this fall. Post apocalyptic setting: Check. Vast world: Check. Plenty of guns and flying bullets: Roger that. Those of us "Fallout 3" and " Borderlands" fans can't help but get excited for this first-person shooter from the people who basically, you know, invented first-person shooters. 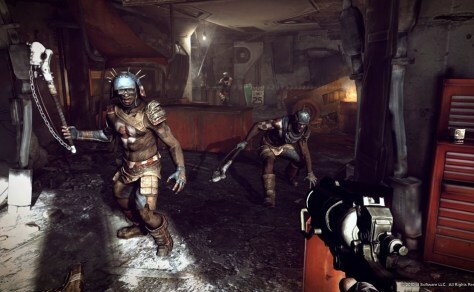 In id Software's "Rage," players find themselves learning to survive in a world ruled by raider gangs, mutants, and an oppressive government regime. This game not only offers tons of running and gunning, it tosses in some intense vehicle combat to boot. And with the new id Tech 5 engine running things, the graphics look spectacular. The apocalyptic good times begin sometime in 2011. This over-the-top first-person shooter looks like it's going to be one bloody good time. Here you won't just be aiming to take out your many enemies with killshots ... but with skillshots. That is, you'll want to kill with creativity. Shoot an enemy in the throat and you'll earn "Gag Reflex" points. Shoot an enemy in the junk and then finish him off with a bullet to the head and you'll earn "Mercy" points. More points equals more upgrades equals more mayhem. The bullets will fly Feb. 22, 2011. We liked the looks of the forthcoming motion-controlled wizarding game "Sorcery" when Sony showed it off at their E3 press conference. Certainly "Harry Potter" fans should take note – this looks to be the closest you'll get to holding a real magic wand in your hand. The game makes use of the PlayStation Move's wand controllerin a way that makes great sense. 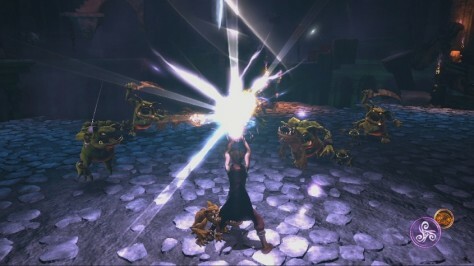 As the wizard in the game goes to battle against his enemies, players will swing and flick the motion-sensing controller as they would a wand, casting spells and vanquishing baddies. While Wii games have done this in the past, the PlayStation Move device appears to be far more precise in the way it senses motion. Mr. Potter might just want a Sony wand for himself. 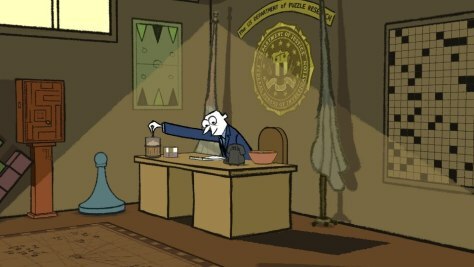 "Nelson Tethers: Puzzle Agent" is what you'd get if you crossed the gameplay of "Professor Layton" with the creepy-cool strange of "Twin Peaks. This puzzle game comes from the folks at Telltale Games (the developers behind the " Tales from Monkey Island" and "Sam & Max" adventure titles) and from artist Graham Annable (do not miss his short animated videos on Youtube). Players take on the role of Nelson Tethers, the lead (and only) agent in the US Department of Puzzle Investigation, sent to Scoggins, Minnesota to find out why the town’s eraser factory has stopped working. Mazes, puzzles, riddles and logic brainteasers twist their way through an eerie mystery story. 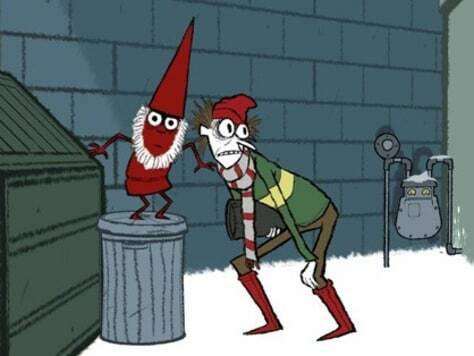 But what most intrigues us, is the way it's all wrapped up in Graham’s humorous-yet-creepy visual and narrative style. Fortunately, we won't have to wait long to get our hands on this game. It's due to launch sometime this week. It's the future. The world has flooded. The survivors are scraping out an existence on a floating city known as The Ark . No, things aren't looking so bright. With this waterworld on the fast track toward civil war – the Resistance versus the Security – you the player must pick sides and pick up your highly customizable gun. We like the looks of this first-person-shooter's in-depth character customization system and we're intrigued to see how the game lets us develop our characters across the single-player, online and co-op modes. Also, we're keen to put "Brink's" parkour movement style through the paces. Alas, it looks like we'll have to wait until 2011. It's the future. Yes, again. Only in this game the world hasn't flooded. Instead, nearly all the humans have been wiped off the face of the earth ... which is now mostly populated by the robots that wiped them out. This action-adventure game centers around the uneasy relationship between two characters – a beefy brawler named Monkey and a tech-expert named Trip. The two literally cannot survive without each other if they're going to survive the evil robots onslaught, and players will have to learn how to best use each of Monkey and Trip's skills if they want to complete the game. "Enslaved" is being developed by Ninja Theory — the developers behind "Heavenly Sword" — and the game's story was written by Alex Garland — the novelist who wrote "The Beach" and the screenplay for "28 Days Later." It's scheduled to launch Oct. 8th. "Rock of Ages" is one of those utterly original games that, when described, sounds like utter nonsense. 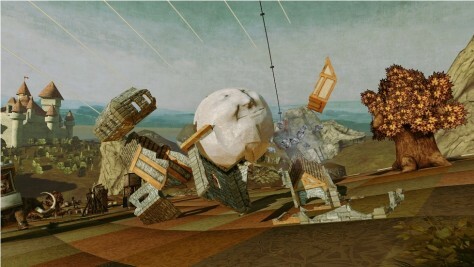 It's basically this: A tower defense-ish, ball-rolling game in which you try to knock down your enemy's castle with a giant rolling boulder as you progress through the stages of art history. (You'll also try to defend your own tower from the enemy's boulder using all sorts of zany defenses). We love the unique, arty look of it and, best of all, we think knocking sh*t down looks like a lot of fun. This downloadable title will crash into our lives sometime in 2011.